Ecological Sustainability, Regional Development and Geo-Spatial Technology. 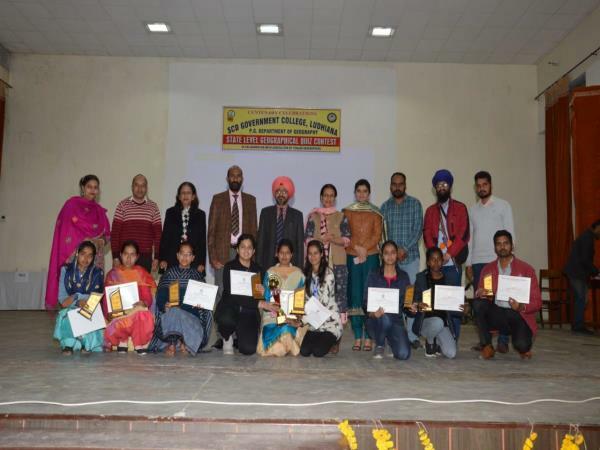 Note: Researchers working in various areas of specializations in geography and allied disciplines are allowed to present their research even if it does not falls within the thrust area of the conference theme. Dignitaries at the Inaugural Session at 19th APG Meet and International Conference, 2018. 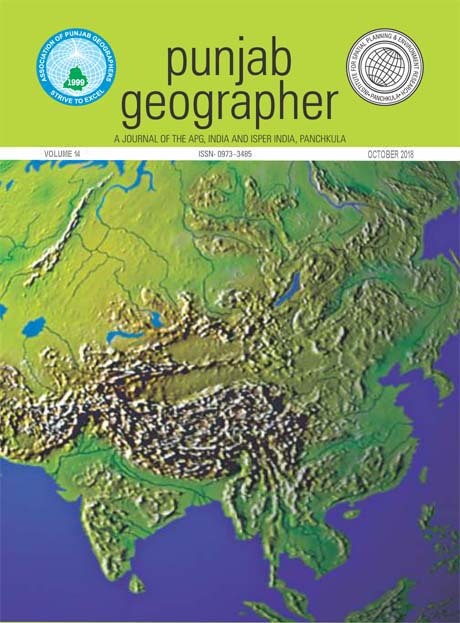 Geographers’ News Letter is a bi-annual publication of the Association of Punjab Geographers. 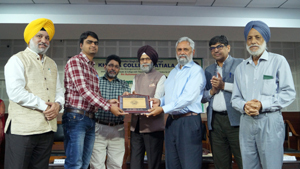 Mr. Pankaj Bhardwaj JRJ, Kurukshetra University, Kurukshetra, is receiving Dr. Saminderjit Singh Memorial Young Geographer Award from Professor Pritam Singh, Senior Economist, Oxford University, England during the Valedictory Session of 19th APG Meet and International Conference, at Khalsa College, Patiala. 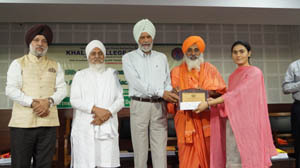 Ms. Pushpa Devi, Department of Geography, University of Jammu is receiving Devinder Singh Raina Memorial Meritorious Student Award from S. Surjit Singh Rakhra, former Education Minister, Punjab and Padam Shri Sant Balbir Singh Seechewal during the Inaugural Session of 19th APG Meet and International Conference, at Khalsa College, Patiala. 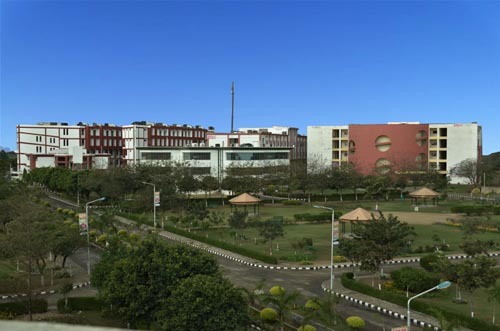 SCD Govt. 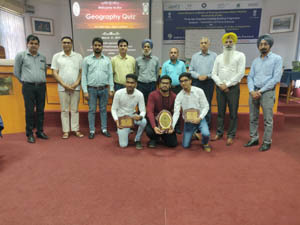 College, Ludhiana, Punjab won the 1st APG Inter-state Geography Quiz Contest, held at ISPER on 31st March, 2019.